Investment risk is the chance that money can be made or lost on any investment. It is important to know how risk and reward interact and to understand what investments might suits different risk appetites. “No pain, no gain.” You heard that cliché to describe something you really didn’t want to do? Unfortunately, investing carries a certain amount of risk and with that risk can come some pain, but also some gain. You must weigh the potential reward against the risk of an investment to decide if the pain is worth taking for thethe potential gain.” Understanding the relationship between risk and reward is a key piece in building your personal investment philosophy. Risk can be thought of as the uncertainity of something happening. In investing this is often seen as the variability in the returns of an investment. This variability can be measured in many ways, one common yardstick beingvolatility. Volatility is a measure of the speed and magnitude of price changes in an investment over a period of time. If the price moves up and down rapidly over short time periods, it has high volatility. If the price almost never changes, it has low volatility. Investors need to be aware of the various investment risks and to realise what effects they might have on their investments. Although risks pose a threat, they also pose an opportunity and investors need to know the best way of mitigating risk so that they can also benefit from the potential rewards. Risk and reward go hand in hand. Generally speaking the greater the risk the greater the potential chance of reward, or loss. An investors financial goals and attitude to risk will be a guide to what type of investment will best suit them. Different asset classes have different risk/reward profiles. To understand this relationship completely, you must know where your comfort level is and be able to correctly gauge the relative risk of a particular stock or other investment. * Are my investments going to lose money? * Will I achieve my investment goal? * Am I will to accept more risk to achieve higher returns? Let’s look a closer look at these concerns about risk. The most common type of risk is the danger your investment will lose money. On the contrary investments that guarantee you won’t lose money, but you will give up most of the opportunity to earn a return in exchange. U.S. Treasury bonds and bills carry the full faith and credit of the United States behind them, which makes these issues the safest in the world. Bank certificates of deposit (CDs) with a federally insured bank are also very secure. The price for this safety however is a very low return on your investment. When you calculate the effects of inflation on your investment and the taxes you pay on the earnings, your investment may return very little or no real growth. * Less fees, taxes, inflation, etc. As noted in the previous section, if you can’t accept much risk in your investments, then you will earn a lower return. To compensate for the lower anticipated return, you must increase the amount invested and the length of time invested. Many investors find that a modest amount of risk in their portfolio is an acceptable way to increase the potential of achieving their financial goals. By diversifying their portfolio with investments of various degrees of risk, they hope to take advantage of a rising market and protect themselves from dramatic losses in a down market. What is tour attitude to investment risk. An investor needs to find his or her comfort level with risk and construct an investment strategy around that level. A portfolio that carries a significant degree of risk may have the potential for outstanding returns, but it also may fail dramatically. 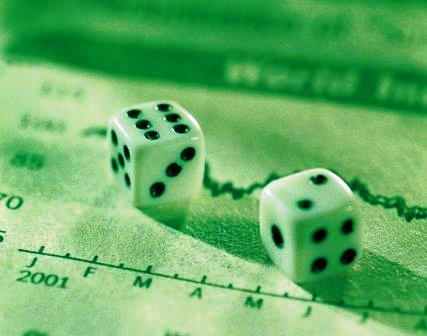 There is nothing like “right or wrong” amount of risk – it is a personal decision for each investor. Young investors can afford higher risk than older investors can because young investors have more time to recover if disaster strikes. If you are five years away from retirement, you probably don’t want to be taking extraordinary risks with your nest egg, because you will have little time left to recover from a significant loss. A too conservative approach may mean you don’t achieve your financial goals. Investors can control the level of some of the risk in their portfolio through the proper mix of stocks and bonds. Most experts consider a portfolio more heavily weighted toward stocks riskier than a portfolio that favors bonds. Risk is a natural part of investing. Investors need to find their comfort level and build their portfolios and expectations accordingly.